To learn more about Peru’s history, consider a full-day tour of Pisac, a charming colonial village just an hour from Cusco. In addition to the dramatic terraced hillsides and century-old town center, you’ll visit the lively craft market that’s been an important trading post since the days of the Incas. If you can stay longer than a day, check into one of our traveler community’s favorite hotels in Pisac, the Royal Inka. With its striking mountain views and quiet gardens, travelers says this is the perfect retreat after a day of exploring. 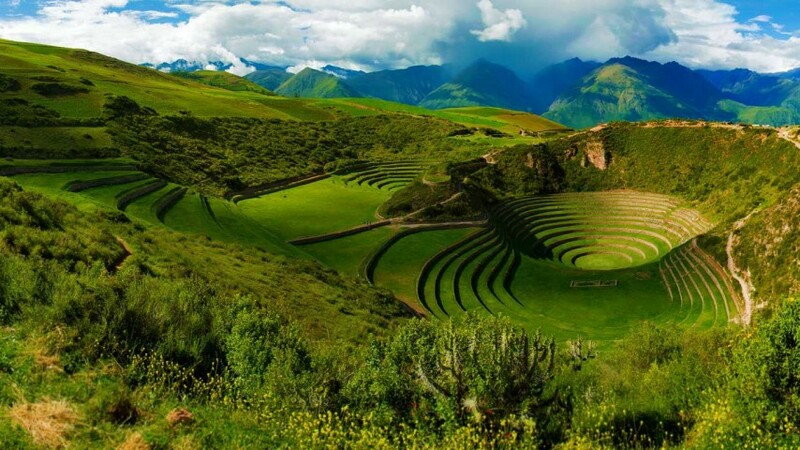 Peru is home to some of the world’s most diverse landscapes. Just a few hours from the coastal city of Lima, the rolling hills give way to giant sand dunes and remote, arid valleys. In this desert-like corner of Peru, the town of Huacachina, with its palm tree–lined lagoon and elegant resorts, is like a literal oasis. The most popular way to explore Huacachina is by dune buggy. Perfect for everyone from families to adrenaline junkies, the tour takes you up and down the sandy surroundings – complete with an opportunity to try sandboarding. “The views across the dunes were breathtaking, as was the ride!” says one traveler. Afterward, book a room at the Hotel El Huacachinero, a boutique resort with a pool that’s perfect for cooling off after a day in the desert. “We had the most relaxing time at this little place,” says one traveler. Another example of the diversity and drama of Peru’s countryside is Rainbow Mountain, an almost psychedelic natural attraction just three hours from Cusco. The site gets its name from the mineral deposits that streak across the mountain, creating colorful ribbons that look like something out of Charlie and the Chocolate Factory – and on a guided hike to the mountain’s summit, you can learn about the unique geological conditions that created this striking landscape. “This was one of the highlights of my trip,” says one traveler. Back in Cusco, feast on Peruvian classics like ceviche and lomo saltado at the Morena Peruvian Kitchen, then check in at the Hotel Torre Dorada, one of our travelers’ favorite places to stay in the city. “The hotel is wonderful, we were treated like royalty from the moment we arrived,” says one traveler. Close to the city of Arequipa, Colca Canyon offers one the most spectacular hikes in the world. The trail cuts through a gorge twice as deep as the Grand Canyon and passes by ancient terraced farms, vast savannahs and lush valleys. Experience it all on an overnight tour through the diverse natural terrain, with stops in the lively villages of Chivay, Maca and Yanque. Back in Arequipa, make your home base Casa de Avila, located right in the city center. This hotel is more than just a convenient and comfortable place to stay; amenities here include Spanish classes and Peruvian cooking lessons. “The teaching staff were so friendly and encouraging,” says one traveler.